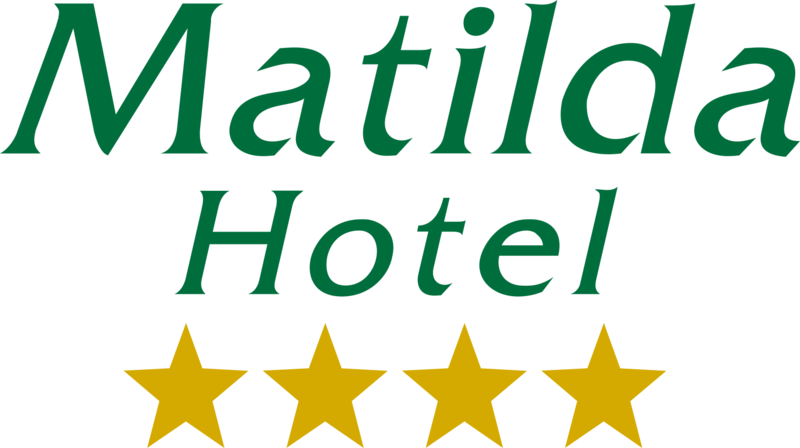 MATILDA HOTEL 4* is situated in the most beautiful area of Zakynthos Island, Vassilikos village, the marine park habitat of the turtle Caretta-Caretta, only 7 km from the city of Zakynthos and near the airport, over the picturesque beach of Porto Zoro. Porto Zoro, Gerakas, Saint Nikolas, Daphne, and Porto Roma are just a few of the numerous magnificent beaches nearby. MATILDA HOTEL is a balcony over the Ionian Sea, a place where one may sunbathe in the midst of the green-clad landscape of Zakynthos. Our architects, engineers and ourselves have worked hard to build spaces comfortable for our guests, with first class service and Hospitality which is synonymous to the Hellenic concept of “PHILOXENIA” – the precious legacy from our ancient ancestors. With our attentive breakfast, each day begins with the sweet feeling of warm hospitality. Our snack bar by the pool area is the necessary contrast to the idyllic setting. Our staff is always near you to offer either a drink or a cold dish while you enjoy the hot sun of the day or the breathtaking sunsets. Lunch or dinner with us is always an event to remember, as your senses will be satisfied both by the traditional Zakynthian and Greek Cuisine and by the friendly staff. Entertainment is occasionally provided by our Hotel in the form of Greek nights with folklore shows and barbecue or fish nights.